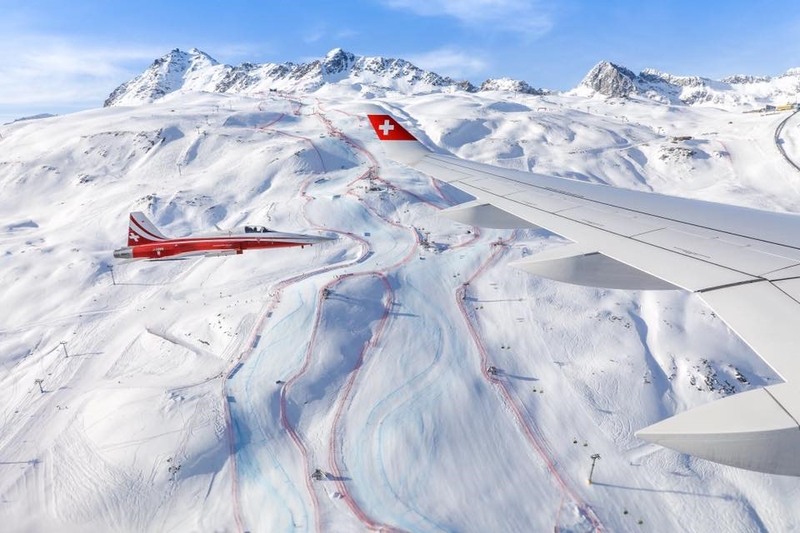 Overflights of the ski slopes along the bautiful Swiss mountains. Beautiful pics taken aboard the Swiss A320 during rehearsals for the traditional flyby at Lauberhorn. During recent years an aircraft of the Swiss airlines run overflights in formation with Patrouille Suisse F-5 Tiger IIs at the beginning of the ski race in Laubehorn. The picture was taken during a training flight, due to the bad weather, the official flyby was canceled. Watch the video of flyby at the Lauberhorn ski race 2015.